Why it matters: Let’s face it: most Android users have little love for the notch—despite so many manufacturers adding them to their handsets. 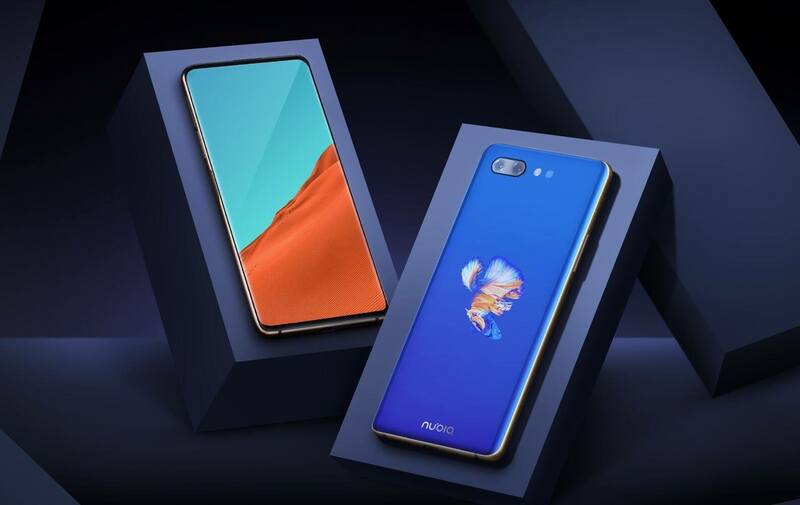 Several companies have tried different methods that allow for cutout-free, bezel-less screens, such as slide-out cameras, but China’s Nubia is going for a more novel approach: placing a second display on the rear of the handset. Dual-screen phones aren’t new, but unlike the YotaPhone and its successors, the Nubia X doesn’t use an e-ink display on its rear; instead, you’ll find a 5.1-inch 1520 x 720 OLED panel sitting under the two cameras. The Nubia X’s primary display is a 6.26-inch 2280 x 1080 LCD with a 19:9 aspect ratio. The bezels are tiny, allowing a 93.6 percent screen-to-body ratio, which means no front-facing camera. If you want a selfie, just flip over the handset and take one using the main AI-packed cameras (16MP f/1.8 and 24MP f/1.7) and the secondary screen. While selfies are the main purpose of the rear display, it can also be used to show wallpapers, custom signatures, “dynamic” pictures, and act as two extra buttons when controlling games. It can even be used as your primary screen if you wish. What’s really impressive is the way switching it off causes the display to blend into the glass back so well that you wouldn’t know it was there. Within the Nubia X is a 3,800mAh battery, a Snapdragon 845, up to 256GB internal storage space, and 6GB or 8GB of RAM. It also comes with two fingerprint readers on the side of the device, dual Nano SIM slots, and features Android 8.1 Oreo, rather than Android 9 Pie. Sadly, it seems as if the Nubia X will never be sold outside China, where it starts at around $475 and reaches $615 for the top-spec handset.